Elika and Zach were married at the Brahma Ridge Event Center in Asheville, North Carolina. Tucked away in a valley in the Blue Ridge Mountains. It’s a perfect place to unplug from the world, the spotty cell phone reception makes it even easier. They had a nighttime wedding ceremony outdoors. 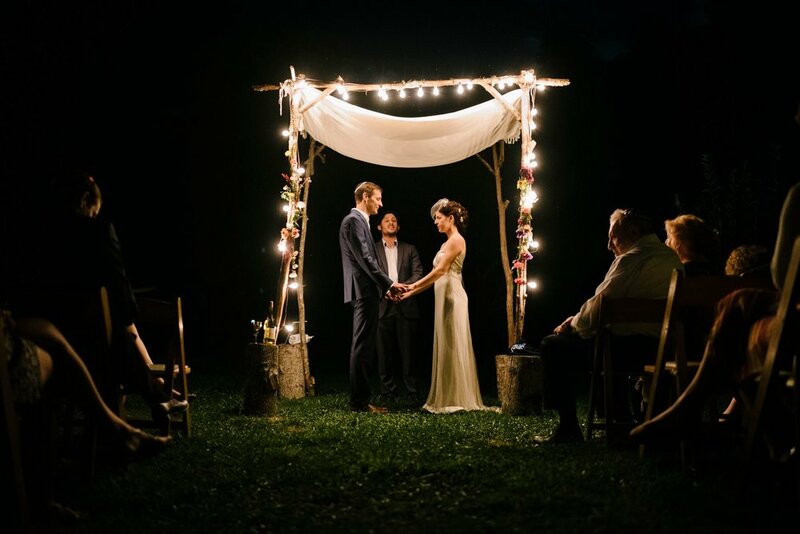 Friends and family enjoyed a heartfelt exchange of vows under the stars with a chorus of crickets in the distance. Many stayed the night camping on the property, roasting marshmallows by the campfire made for delightful ending to a wonderful day.